Welcome to my third Top Three Tuesday installment! This was my favourite one to write. I don’t know if it was because the products themselves are so incredibly beautiful or because I am obsessed with highlighters over all. Either way, I loved writing this post. I thought I would struggle with choosing my top three because I love highlighters so much but there were three (technically five) which stood out immediately when I was going through my collection. There is really not much that I can say about this highlighter that I have not said before. I have reviewed it here and did a comparison against another product here and it is just daaaayum amazing. These Top Three Tuesday products are in no particular order but I can fully say that this is number one and it will probably still be my number one for years to come. 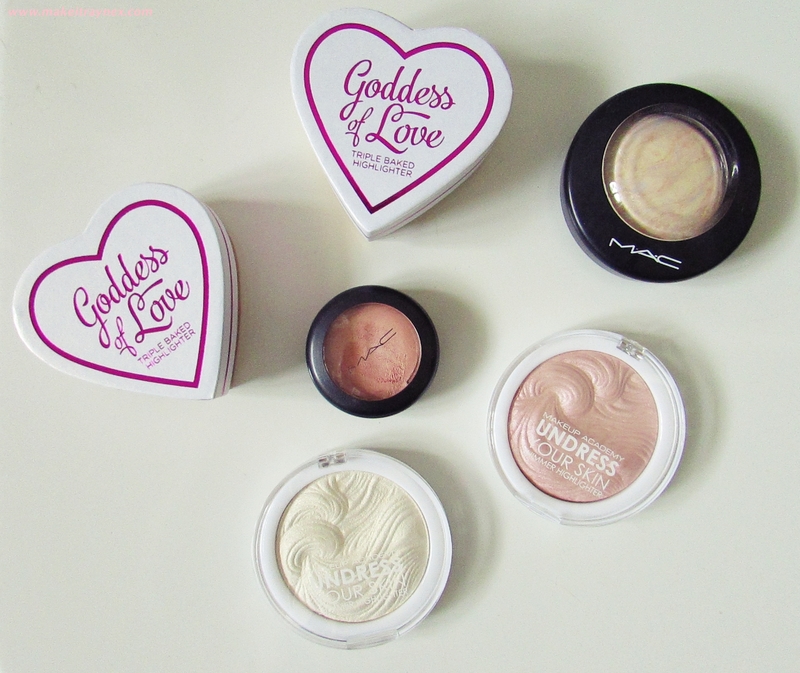 Make-Up Revolution Triple Baked Highlighters in original Goddess of Love and Golden Goddess. What I LOVE about these babies is, besides that the packaging is perfect, these are a complete dupe for the Too Faced Perfect Blush Flush. I am a total sucker for products which are dupes for pricer items and these are definitely in that category! The highlight gives off an almost strobe-light effect and the original Goddess of Love leaves you with a flushed look while the Golden Goddess leaves you looking bronzey and sun-kissed. Due to their sheen I would not suggest using these on your forehead or cupids bow but they are amazing on your cheeks and cheekbones. Another product which I have reviewed before. 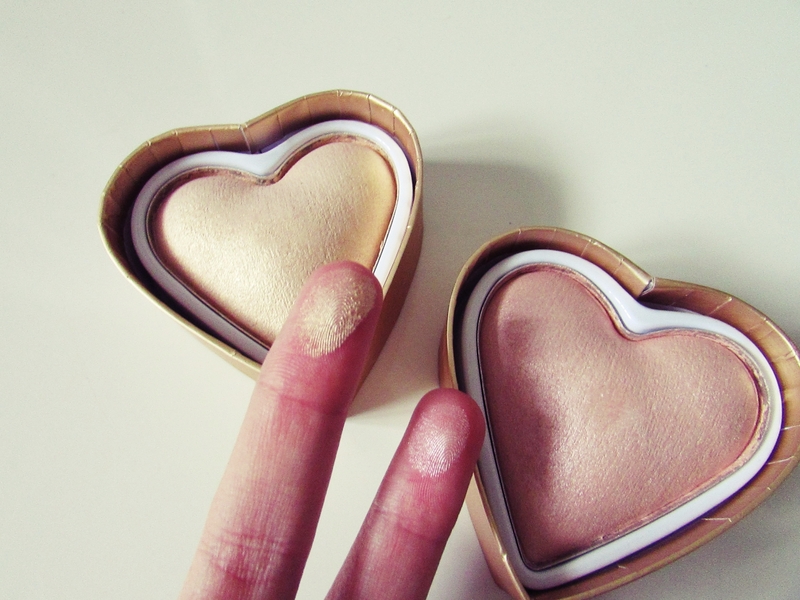 The main thing that I love about these highlighters is that they are SO pigmented. And I mean that one light dab gives off such an intense colour that you won’t need a touch up the entire day. While they are both highlighters, I prefer using Pink Shimmer as a brightening blusher but Iridescent Gold gives off the perfect highlight colour whether you are using it on your face, brow bones, cupid bow or forehead. I never even thought of trying out cream highlighters until a M.A.C sales lady practically forced this upon me, and I am so glad that she did! It lasts MUCH longer than a powder highlighter and it really gives you that high sheen that you look for in a highlighter. I suppose the colour would throw people off (I myself was a bit freaked out) but it transfers onto your skin as a frosty and slightly tinted glow. An overall WINNER. Being a M.A.C product it is on the pricey side of cosmetic items as R240 but well worth the money as it will last you a good two or so years. What did you think of my Top Three? Are there are products which YOU think should have made the list?